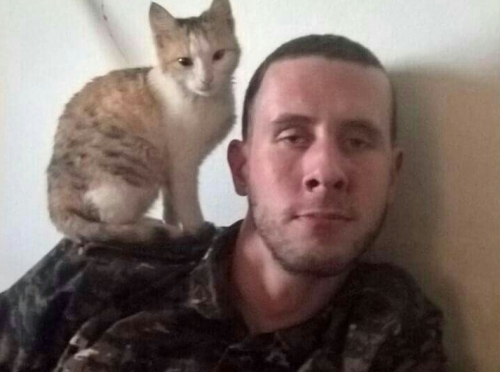 A memory of Heval Botan, internationalist who fought in the YPG and was found dead in his apartment in the USA a few days ago, written by another comrade, Marco Gelhat. Love is a tribute to human blindness, a memento that always reminds us of what we are: a universe contemplating itself, in its own finitude and infinity. Heval Botan is a fire that never burns, mocking and dancing on the Leviathans’s head; a man who felt deeply, thanks to his incredible sensibility to the rotten contradictions of a Weltansicht that is pushing our species to an unsustainable accumulation of capital, mercification and absolute disrespect for the environment, that will lead us to catastrophic scenarios. The hegemonic rule of corporations, financial elites and their gilded guardians are the silent audience of a political arena extremely spectacularized, where the real needs of a community, from structural changes to ecological policies are demonized in the name of a so called “stability“, or as Pasolini would put it: “a sort of mental disease, hidden and silent“, a critical paralysis of thought, a magnum opus in the manufacture of consent. Botan sang and still sings his anarchist anthem facing the corrupted core of the empire, composing with nameless souls a beautiful Echo that resists and fights every day a phagocytizing system of values that is turning women and men into machines, only a mere product of consumption, atomized and less organized. Heval Botan is the political dissident, the unknown miner, the quilombola mother; we are the movement that dissolve the existing Gordian knot, and so, all static order will crumble into dust. I dreamed I saw Joe Hill last night Alive as you or me Says I, "But Joe, you're ten years dead,""I never died," says he.